Experts in Personal Outsourcing (Staffing), we manage your staff, recruiting and controlling the workforce by applying incidents, paying your associates, meeting all legal requirements. We are a world class Mexican company certified by ISO 9001:2008 and qualified by the Human Capital Mexican Association (Asociación Mexicana de Capital Humano) certifications that recognize us as a company that complies with all applicable laws and regulations in the industry. We are experts in Staffing. We handle personnel management in the operating, supervisory and management areas of your organization. We also handle recruiting, staffing control, incidents and employee payroll. We guarantee adherence to current laws and regulations with 100% compliance with all the legal obligations your company has as an employer. We render services mainly to the following sectors: Industrial, Governmental, Health, Energy, Hospitality and Services, Commerce, Banking and Agro-Industrial. We also offer Personnel Recruitment, Selection and Assessment. We provide our clients comprehensive solutions in Human Resources to increase the organization’s efficiency and productivity. Applying our teamwork ability and creativity, together with a philosophy of continuous lifestyle improvement, we thoroughly satisfy our clients’ needs avoiding confusion and waste. We are committed to expediting human resources administration processes in order to keep labor stability and to provide high quality services with honesty, discretion and efficiency. 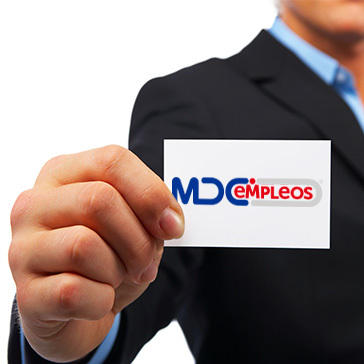 2014 © Grupo MDC. Todos los derechos reservados.